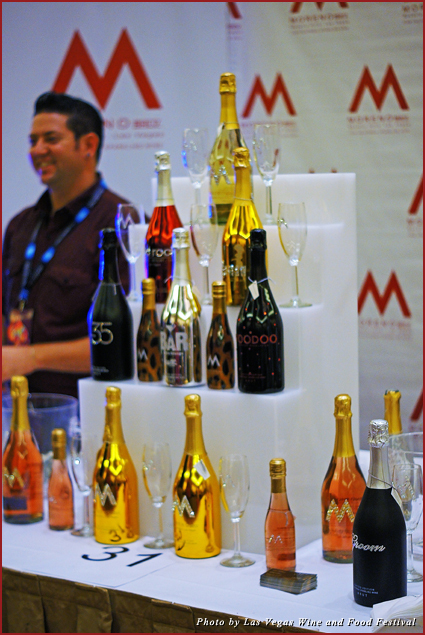 Don’t miss this year’s Las Vegas Wine and Food Festival, where you have the opportunity to indulge your senses and wet your palates at this year’s event on Saturday, September 22, 2012, at the exclusive Red Rock Casino and Resort Pool. This year’s festival features copious comestibles from locally acclaimed celebrity chefs and a medley of beer, wines, and spirits that Dionysus would envy. 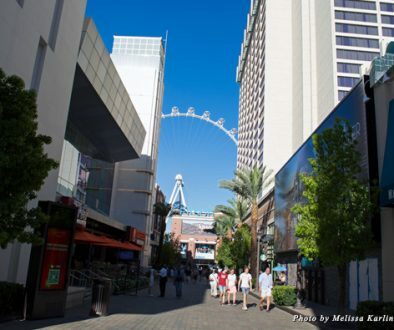 This year’s festival welcomes back many of the preeminent restaurants in Las Vegas. 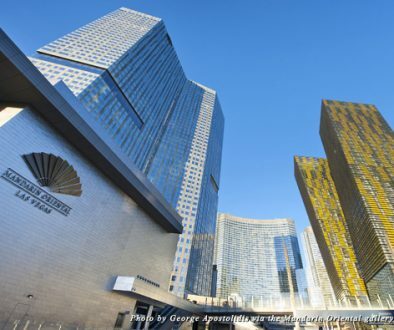 Some of the returning eateries this year include Mastro’s Ocean Club Las Vegas, Scarpetta, Roy’s Las Vegas, STK Las Vegas, TAO Asian Bistro, D.O.C.G. 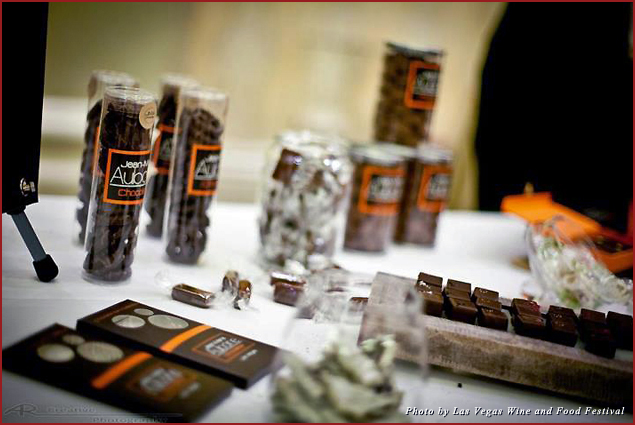 enoteca, Jean-Marie Auboine Chocolatier, and many more. Newcomers to the festival such as PINKS, Addiction Restaurant, and Bagatelle are sure to add new flavor to an already stellar ensemble. 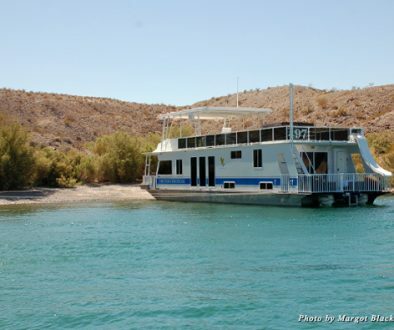 Along with the delectable bites, a plethora of thirst-quenching liqueurs, wines, and lagers will be served to guests. Returning to this year’s celebration is Moreno BHLV Sparkling Wine, which features exquisite finishes from bottles with encrusted Swarovski crystals or frit and ground-glass imprints. 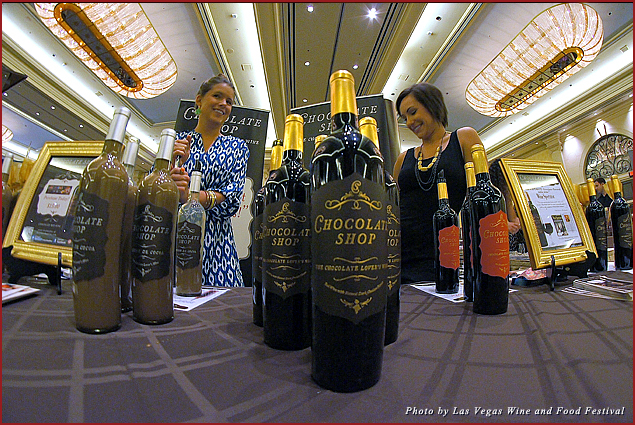 Chocolate lovers may want to try the luscious flavors from Chocolate Shop Wines. For those who prefer lagers and ales, plenty of breweries from around the globe, from Moosbacher to St. Peter’s Brewery, will be serving their creations. Guests savoring edibles and libations poolside will be treated to live entertainment from the Strip’s biggest tease, FANTASY, featuring the exotic voice of Lorena Peril and the heavenly Fantasy Girls; the sounds of John Colombo, as well as music and entertainment courtesy of High Flyin’ Entertainment. Amidst all the spectacular splendor, there’s a philanthropic component to the evening. The CEO of Barcelona Enterprises and founder of the Las Vegas Wine and Food Festival, Alan Semsar, believes in giving back to the community and contributing to charitable causes. This year’s proceeds from the festival will be donated to the James Beard Foundation, a non-profit organization dedicated to exploring the way food enriches our lives. 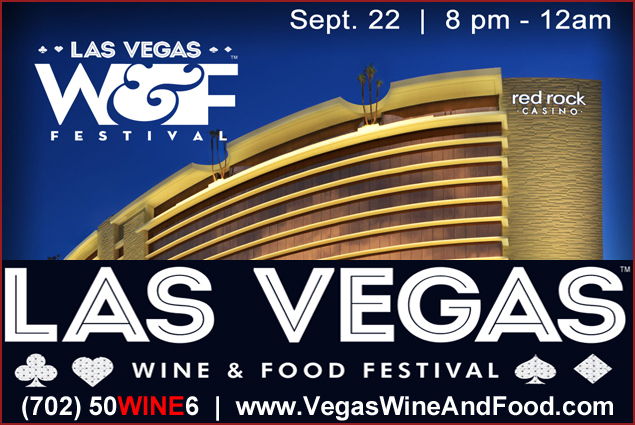 For more information on the Las Vegas Wine and Food Festival or to purchase tickets, visit their website. 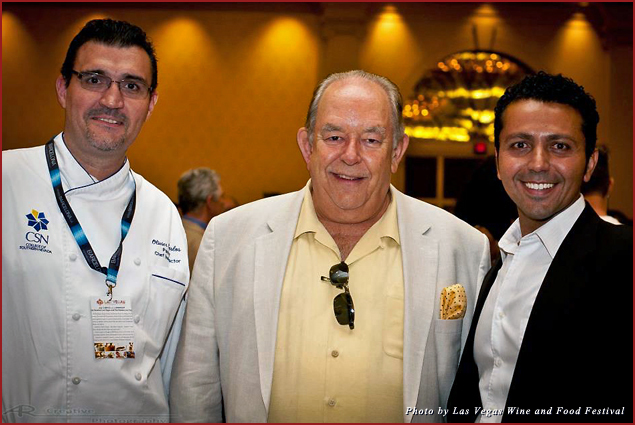 For all the latest news on the festival follow them on Twitter at @VegasFoodWine or via the hashtag #LVWF.